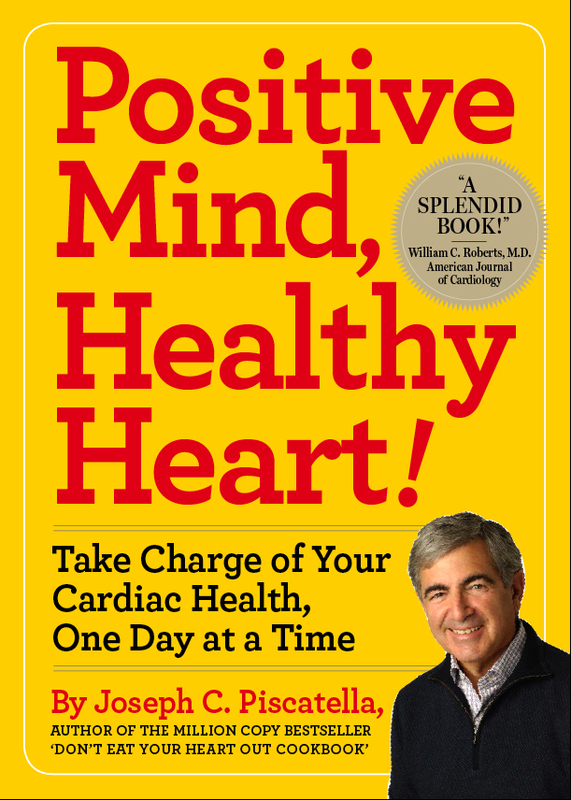 Joe is an expert on healthy living, a best-selling author, PBS television host, WebMD guest and one of the longest-lived bypass patients (41 years) in the world. 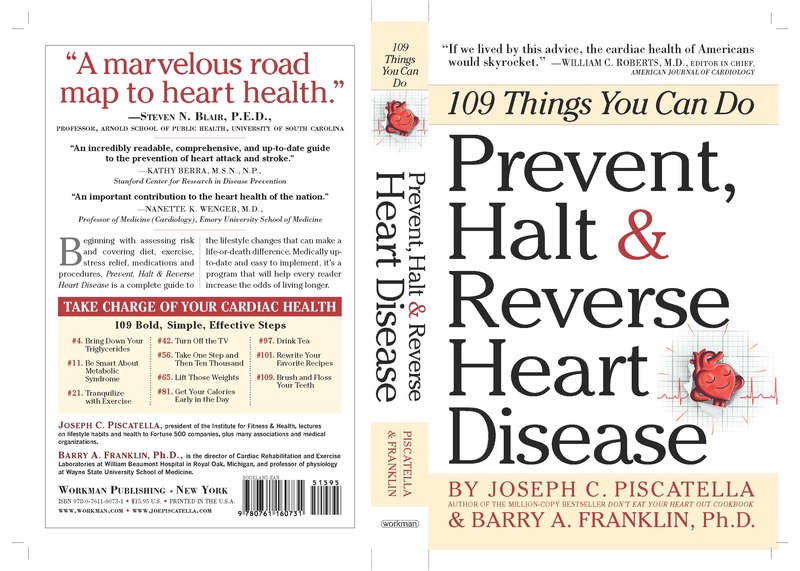 Joe Piscatella is one of the country's most respected experts on how to live a healthy lifestyle in the real world. Audiences gain insight and take-home tools for overcoming barriers, once and for all. Joe's information educates and motivates audiences, giving them the ability not only to initiate healthy changes, but to sustain them over a lifetime. Benefits include better health, more energy, improved job performance and reduced health care costs. Joe uses the art of storytelling, contagious humor and decades of experience to deliver a powerful, practical message that entertains and moves audiences. Over 2 million people have attended his programs. He knows the science of balanced living. More importantly, he understands the practical application of that science for today's busy lifestyles. 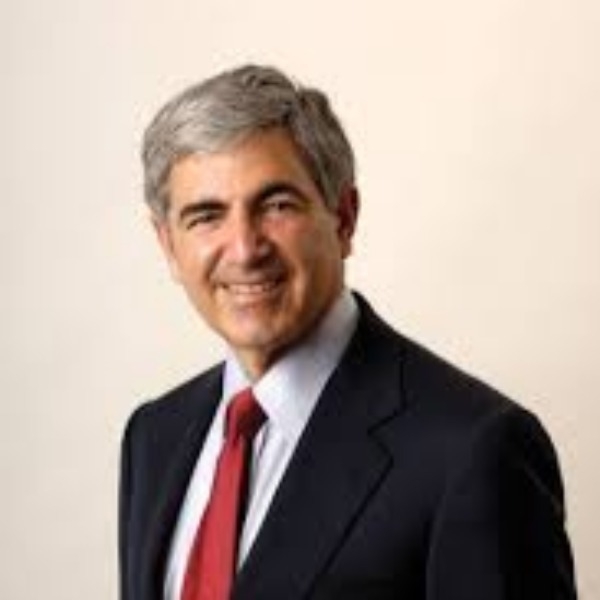 "Joe Piscatella knows more about healthy living than anyone I know," says Dr. Williams C. Roberts, Editor-in-Chief of The Amercan Journal of Cardiology. Joe's position as a thought leader is recognized nationally. 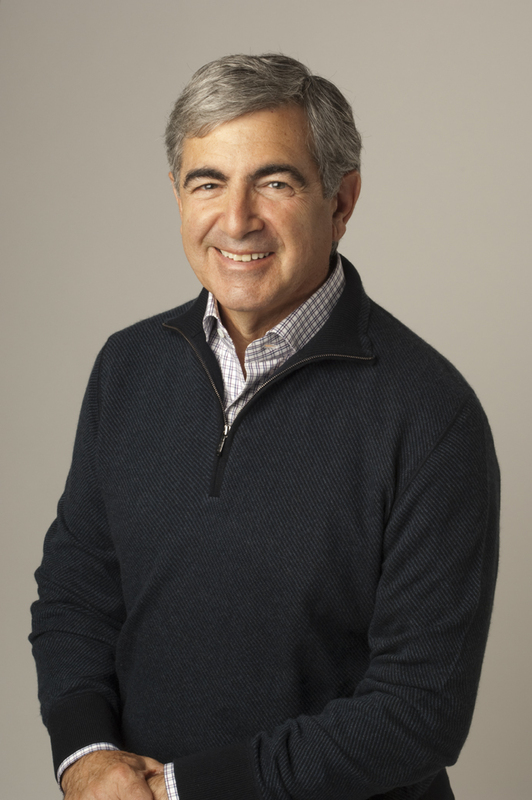 He is a best-selling author of 16 books, a frequent guest on The Today Show, CNN, Good Morning America and Fox News, and has hosted three PBS television specials on lifestyle and health. Joe is a "guest expert" on WebMD and is the only non-medical member of the National Institutes of Health Expert Panel on Cardiac Rehabilitation. Time Magazine says, "Joe skillfully weaves humor, a fresh approach and common-sense ideas into an energized presentation that delivers outstanding results." He is the President of the Institute for Fitness & Health, an organization that consults on worksite and community health programs. Clients include Boeing, Exxon/Mobile, Starbuck's, the Mayo Clinic, Sprint, Raytheon, Thrivent, the U.S. Naval War College, the Cleveland Clinic, the Federal Reserve Bank and GE Asset Management Company. Says Sally Hass, Benefits Education Manager for the Weyerhaeuser Company, "If companies want their people to live healthier, they have a responsibility to help them develop positive skills. Joe Piscatella supplies knowledge and motivation. He is a bridge to those skills." Joe designs and implements a 6 Weeks to a Healthier You employee/community wellness program. In one recent program, 650 people lost 4,200 pounds. The program was recently purchased by Franciscan Health, part of Catholic Health Initiatives, for exclusive use. NEW. Dr. James Rippe, one of the country's leading authorities on lifestyle medicine, edits the definitive academic textbook that teaches physicians about lifestyle and health. The newest edition will contain contributions from 50 world-wide experts including Joe Piscatella. Joe's chapter is on overcoming barriers to healthy living. Joe knows more than a little about commitment and defying the odds. At age 32, a successful businessman with a young family, Joe underwent emergency coronary bypass surgery. The prognosis was not good with doctors predicting he would not live to be 40. But Joe's philosophy was: "You can't change the cards you were dealt, but you can change the way you play them." And he did. Today he is 41 years post-bypass. He didn't change his DNA; he changed his lifestyle. Joe is a speaker that lives his message. He is living proof that a balanced lifestyle is achievable and sustainable, and that it produces permanent, positive results. Accurate information. Practical Advice. Highly motivational. People today are literate about healthy living. They know the difference between an apple and a piece of apple pie, between going out dancing and watching Dancing with the Stars! But most simply do not put that knowledge to work. Despite our knowledge, we continue to eat high-fat, high-sugar foods in huge amounts. We buy exercise equipment that never gets used. And our tether to technology has blurred the line between work life and home life. In this presentation, Joe sets up a methodology for sticking with healthier lifestyle habits and motivates audiences to put it to work. He shares his philosophy, tips and motivational tools to create and maintain good health. In this era of too little time and too much to do, of increased career and family commitments, of crawling traffic and never ending e-mails, Americans are living with chronic stress. Indeed, 89% of us say that the stress in our lives is overwhelming. The result is often high levels of frustration, anxiety and anger. In this presentation, Joe examines the impact of chronic stress on health, productivity and quality of life. He helps audiences understand that the secret to a balanced life is not to avoid stress, but to manage it; not to react to stress, but to respond to it. His program not only examines the sources of stress in modern life (including Type A personality), but it provides audiences with a variety of mental and physical tools to successfully manage stress every day. A balanced diet is critical for good health and increased performance. Today, there is much expert consensus that the Mediterranean diet pattern is the best for good health. But how do you sort out what is balanced in a world of conïflicting claims where fat and carbohydrates see-saw being in, then out, where a tablespoon of ketchup can contain a teaspoon of high-fructose corn syrup, where food supplements claim to be healthier than food itself, and where new weight-loss diet books appear weekly? In over three decades of successfully managing his heart disease, Joe knows fad diets from real science. His sensible, realistic program for instituting the Mediterranean diet offers basic principles for healthy eating, including cutting-edge methods on how to control your fat tooth. (That's right, fat tooth, not sweet tooth!). More importantly, he gives nutritional science real-life application. Audiences will learn how to read food labels to make smart choices at a grocery store, what the secret is to cooking healthy food at home (and having your whole family enjoy it), and how to handle eating in the company cafeteria or in a restaurant. Raised in a world dominated by fast food, television and computer games, kids are more sedentary, overweight and out-of-shape than a generation ago. The typical 12-year old today weighs 11.7 pounds more than his or her counterpart in 1973. In the last decade the obesity rate in white children has increased by 50%; in Hispanic and African-American kids, it has doubled. The result: a generation of children with elevated cholesterol, higher blood pressure and more Type 2 diabetes. This may be the first generation not to live as long as their parents. What are parents to do? This seminar offers practical and easy-to-implement strategies for teaching children healthy exercise and eating habits that will last them a lifetime. Just because you can afford retirement doesn't mean that you will have the quality of life to enjoy it. While a financial plan is important, a good health plan is critical. There is a difference between longevity, the amount of years you live, and health span, the number of years you live in good health. Two people, for example, each live to age 85. But while the first spends the last 20 years of life in a golf cart, the other spends those years in a wheelchair. Their respective longevity is the same, but their health spans are drastically different. In this timely program, Joe examines the eight lifestyle habits found in societies all over the world where people not only live longer, but also have extended years of good health. Learn what you can do now to maximize your "health span" and increase the number of years you will have good health.